It takes a lot of thought and preparation when buying a home of any kind whether its a standard brick home or a manufactured home. 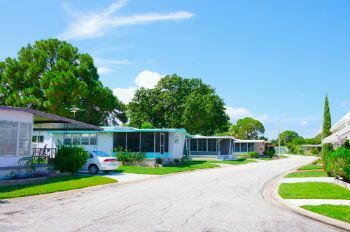 Mobile homes have their own set of standards when it comes to refurbishing, plumbing, electrical and mechanical. But as far as aesthetics go, there are many ways to go about transforming your fixer upper mobile home easily and by yourself. New flooring can change the look of any house and there are many products on the market that can appease any budget, large or small. From hardwoods to engineered hardwoods, laminate to carpet, there are different avenues to explore, and they are all DIY friendly. Here’s a suggestion: when changing out flooring you can also change out, if need be, your subfloors that are typically particle board to plywood adding sturdiness and better insulation. Adding drywall is an excellent way to update your home while adding better insulation. Sheetrocking can update the look and to it you can add texture, paint, or even wallpaper. Then you can also update kitchen cabinets and appliances. And don’t forget about the bathrooms. A new bathtub or vanity can change the space entirely. Now as far as the exterior goes there are also a multitude of projects you can undertake to transform your home. The first two things that come to mind are skirting and siding. There are many choices when it comes to siding: aluminum, hard wood, cement, stone, and the more popular vinyl. All of them have variations according to taste. Taking proper care of your siding is key to its longevity and appeal. Now there are also many different types of skirting options. You have: vinyl panels, faux rock and wood panels, lattice, with many variations to choose from. Changing the exterior is a great way to enhance the beauty of your home while also protecting it from the elements. Occasionally here at Texas Repos we have homes in our inventory that you the buyer can purchase at a low cash price to fix however you see fit. Buying a fixer upper means you can customize your double wide or single wide mobile home however you please.